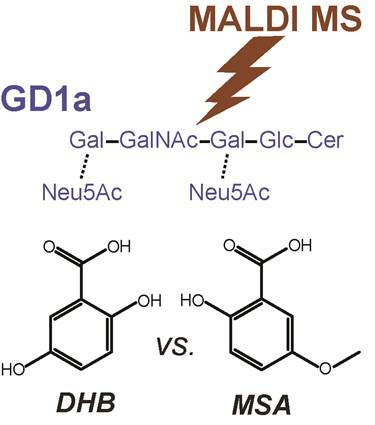 Lee, Dongkun; Cha, Sangwon*, “5-Methoxysalicylic acid matrix for ganglioside analysis with matrix-assisted laser desorption/ionization mass spectrometry" Journal of the American Society for Mass Spectrometry, 2014, Accepted. 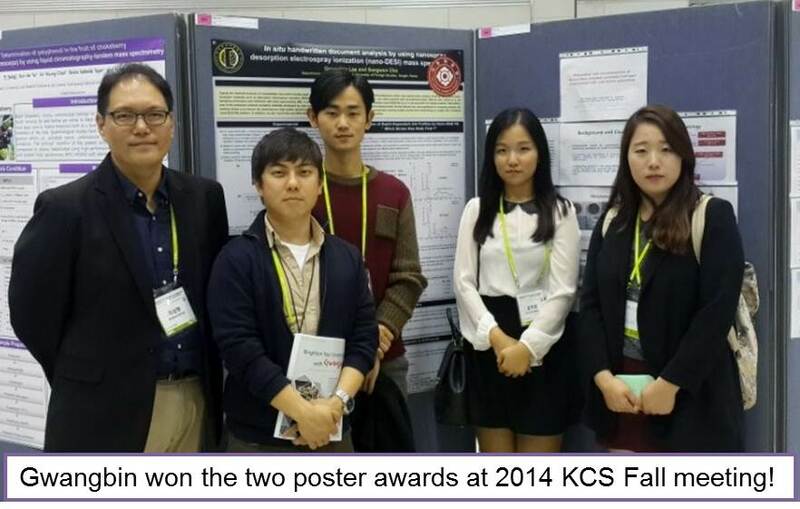 (2014/10/17) Gwangbin won the two poster awards at 2014 KCS Fall meeting! 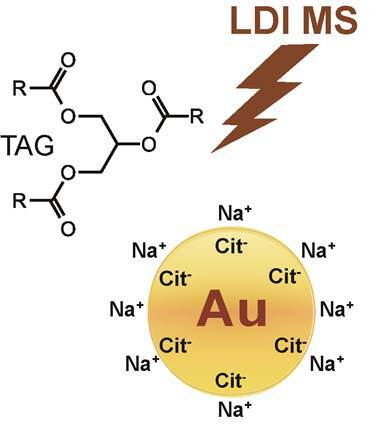 (2014/05/01) LDI MS of TAGs with AuNP matrix has been published at JASMS and highlighted! Son, Jeongjin; Lee, Gwangbin, Cha, Sangwon*, “Direct Analysis of Triacylglycerols from Crude Lipid Mixtures by Gold Nanoparticle-Assisted Laser Desorption/Ionization Mass Spectrometry" , Journal of the American Society for Mass Spectrometry, 2014, 25, 891-894. 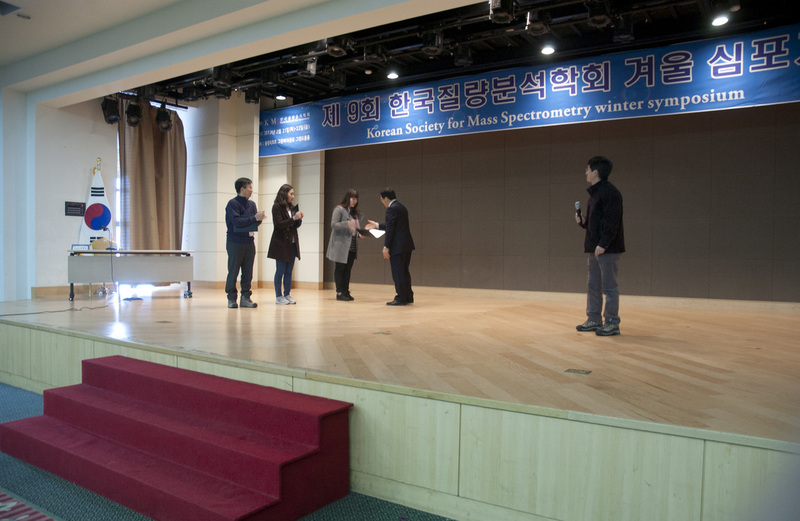 (21013/2/22) Congratulations to Eunbi Shin for the poster award at KSMS Winter Symposium! (2012/01/13) Integrated breast cancer -omics paper has been accepted! (2012-1) Imielinski, M. B.; Cha, Sangwon; Rejtar, T.; Richardson, E. A.; Karger, B. L.; Sgroi, D. C., “Integrated proteomic, transcriptomic, and biological network analysis of laser capture microdissected breast carcinoma reveals molecular features of tumorigenesis and relapse”, 2012, In Press. This paper describes novel way to combine proteomic and transcriptomic data. 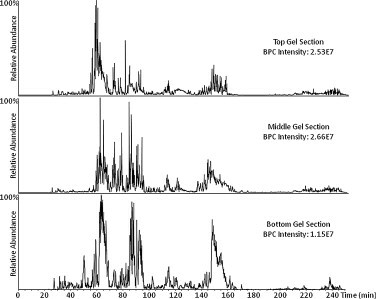 (2011-2) "Microproteomic analysis of 10,000 laser captured microdissected breast tumor cells using short-range sodium dodecyl sulfate-polyacrylamide gel electrophoresis and porous layer open tubular liquid chromatography tandem mass spectrometry", Journal of chromatography. A, 2011, 1218(45), 8168-8174. 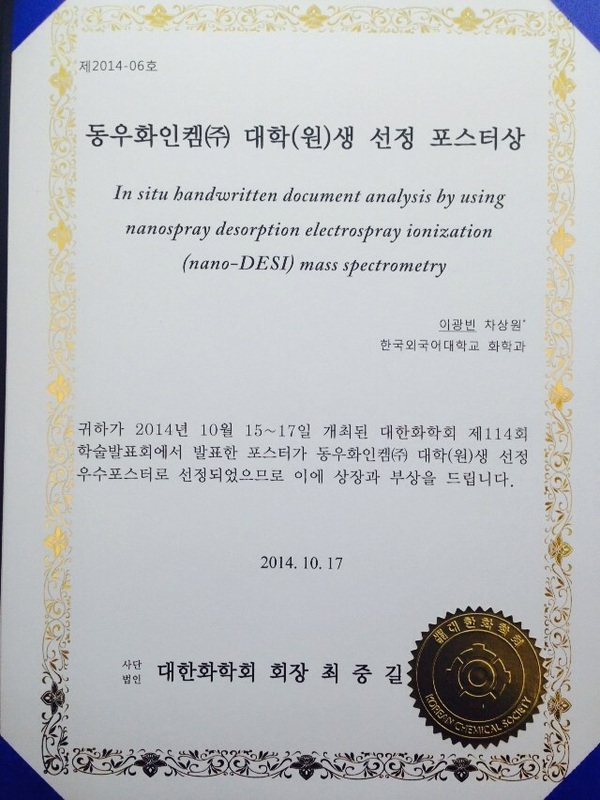 In this project, we're involved in study design, mass spectral data process, and biological functional annotation analysis. (2011-1) "Mass spectrometry-based proteomics of human cannabanoid receptor 2: covalent cysteine 6.47(257)-ligand interaction affording megagonist receptor activation. ", Journal of Proteome Research, 2011, 10(10), 4789-4798. In this project, we're involved in probing the Cys-ligand interactions by Q-Tof MS (Figure below). This spectrum served as the direct & important evidence showing Cys(257)-ligand interaction.